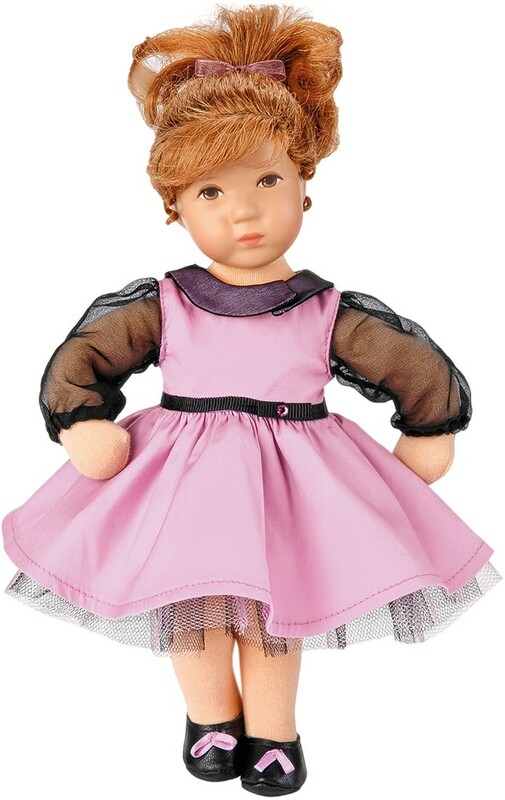 The red hair and hazel eyed Däumlinchen doll Bine wears the look of the 1950s with her swinging violet dress with silk collar and sleeves. Her belt is decorated with a sparkling rhinestone making it specially smart. 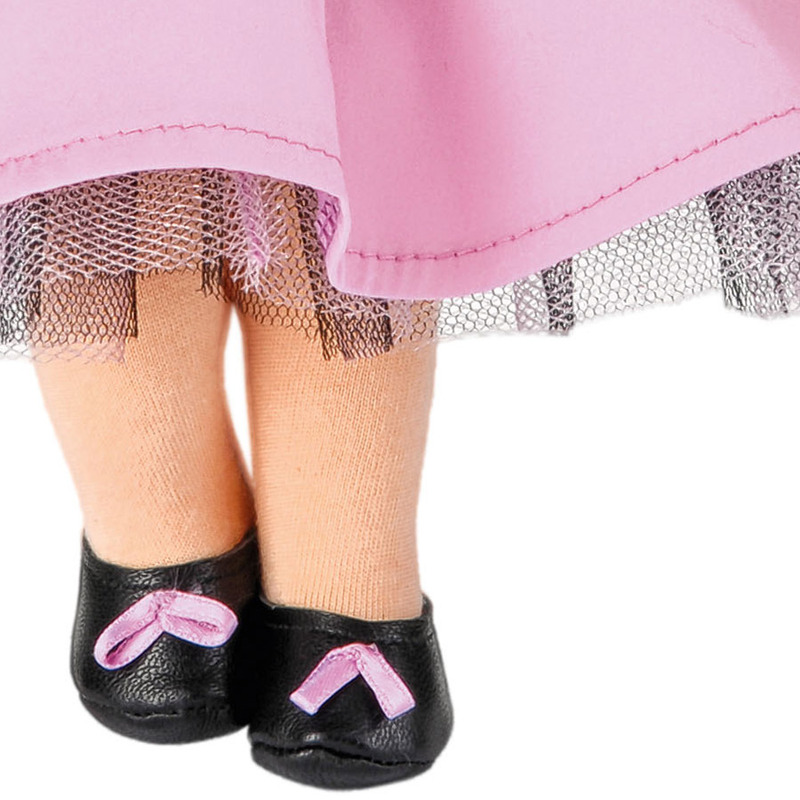 The playful shoes with violet bows match nicely with her dress. Of course she styled her hair into a horse's tail. Bine is stuffed with fiberfill and has a shaped composite head with hand painted face. 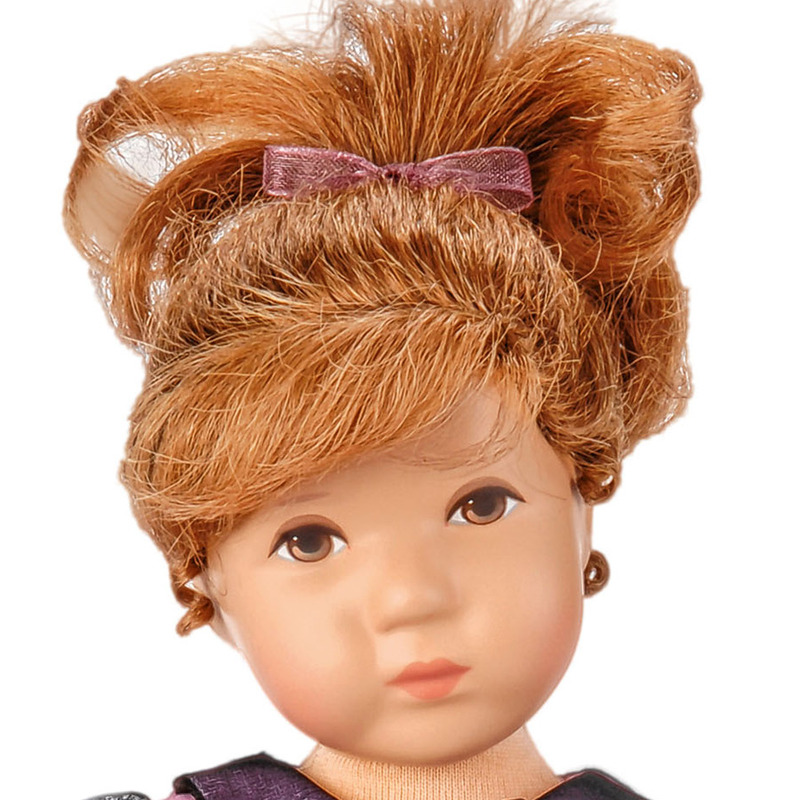 Club Doll Edition for 2014 / 2015 for classic doll collectors.